I make luscious organic and botanical face care and body products. The products are boosted by the cell regenerating properties of essential oils to keep your skin healthy and nourished. They are high quality but cost a fraction of store bought products which contain harmful chemicals. The face products are blended for your skin type at time of purchase so that you receive a tailor made product just for you. 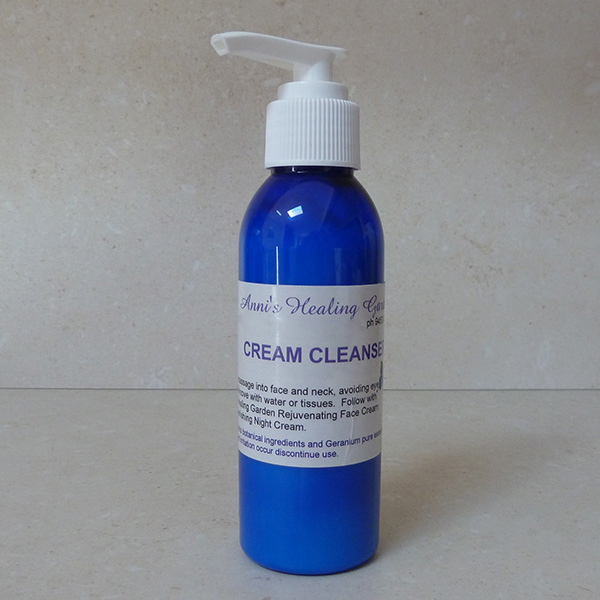 I also blend creams to address eczema, arthritis and many other conditions. Please give me a call on 0408 696 089 and I'll be happy to discuss your particular needs. Click a product to view its ingredients and pricing! Nourish your skin and help prevent wrinkles with this blend of rosehip oil, shea butter, sunflower oil, almond sweet oil, natural vitamin E, macadamia oil, aloe vera, hydrolyzed collagen, plus essential oils added for your individual skin type. Unique 2-in-1 blend of cream cleanser and a foaming cleanser containing Avocado Oil, Jojoba Oil, Vitamin E & Geranium Essential Oil. It provides the best of both worlds in that it can be either wiped off or used with water. Easily removes makeup without drying the skin, naturally balancing the skin’s natural oils leaving the skin soft and supple. Keep feet smelling fresh and bacteria free all year long. Great on those hot summer days, before working out or to keep shoes smelling fresh. Contains essential oils of Peppermint, Tea Tree, Cypress & Lavender. 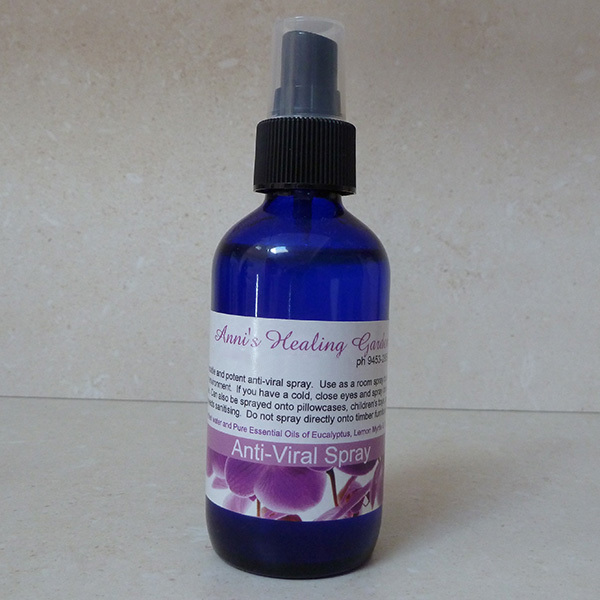 A versatile and potent anti-viral spray. Use as room spray or to sanitise e.g. spray onto pillowcases, children’s toys. 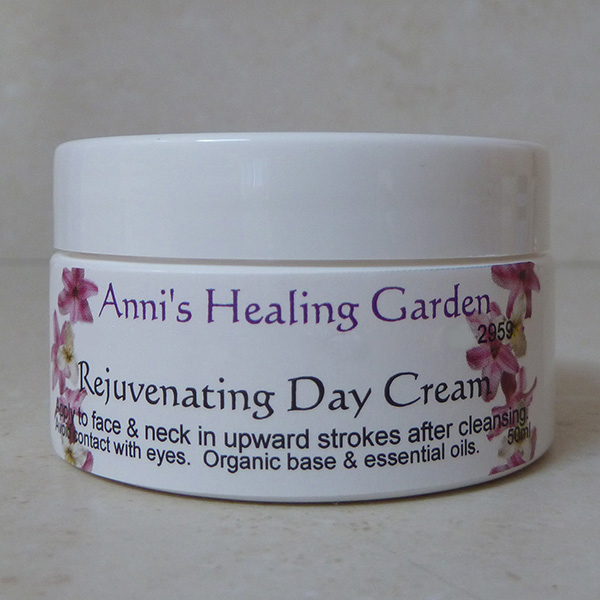 Contains Essential Oils of Eucalyptus, Lemon Myrtle & Tea Tree. 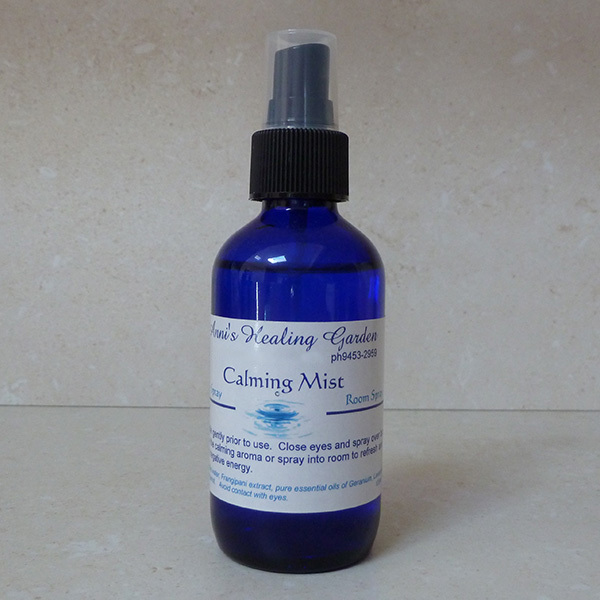 This spray mist is a wonderful way to help calm yourself when feeling stressed. Spray over yourself and inhale or use as a room spray. Contains Geranium, Bergamot, Juniper & Lavender pure essential oils and Frangipani Floral Water. Why not keep one in your work drawer as well?